Antica Dolceria Bonajuto. In Modica since 1880. 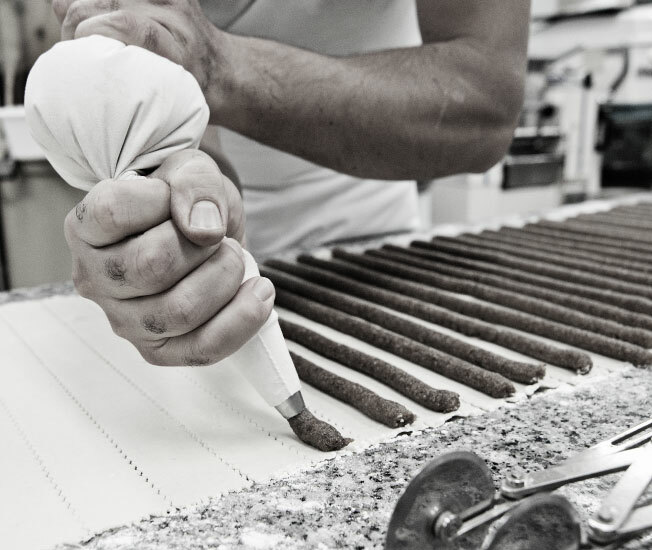 It has been producing and passing down sweets, nougats and traditional chocolate of Modica and Sicily - mostly of Arab or Spanish origin - for six generations and more than 150 years. In 2008, it was included in the list of the 100 Italian excellences by Eurispes. In 1880, Francesco Bonajuto decided to following in the footsteps of his father Federico and opened his small confectionery shop in the centre of the wonderful baroque of Modica. The Dolceria is still where he had established it, marking a strong bond with the city's history. Ancient tastes that time has not changed, while new reinterpretations and contaminations, which characterize the confectionery style, have been added and feature the style of confectionery. The Bonajuto style. 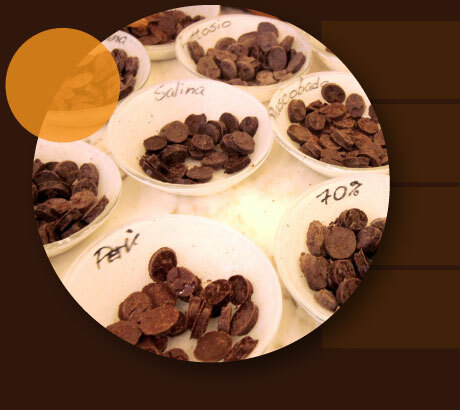 It is the absolutely most appreciated area of the Dolceria, because there is no better way to choose our chocolate if not by tasting every single type. This is why a corner has always been reserved for tastings, where one may try the various types of chocolate, savour its scents, and evaluate its aromatic shades. Memory is one of the main ingredients of the Dolceria. This is why the showcases in our shop treasure memorabilia of our past. Pieces of everyday history that surround us and that have been collected, preserved and handed down. Tasting the sweets of Antica Dolceria Bonajuto means to meet an infinity of flavours that are unknown to many people; ancient tastes that time has preserved and that we offer by combining gastronomic philology with our way of interpreting the present days. Crispy shell and freshly-made filling according to tradition: this is the secret of our cannoli. His majesty is made with cow’s milk ricotta rather than sheep’s milk used in the rest of Sicily. There are different variations: chocolate, white cream, pistachio, hazelnut. The Bonajuto cassatine are the reinterpretation of the traditional Sicilian cassata. Two versions are available: with Bonajuto chocolate including a cow's milk ricotta filling; with pistachio including marzipan and cream. And the frosting for the external decorations on top of it. The drinking chocolate including water, made with XICARA, our special preparation developed together with Chef Vincenzo Candiano, featuring sugar, cocoa mass and thickening carob seed flour. You can drink it hot in winter and cold in summer, so you will never need to give up the pleasure of drinking chocolate. One of the historical confectionery preparations: orange peel cooked in honey. It is consumed in small pieces and used as a digestive or to sweeten teas and infusions in addition to normal consumption. Its features the typical shape of a bird's nest, and the various peel pieces are easily taken out. The typical biscuit of Modica "hiding" meat in the filling. Mixed with chocolate, honey, almonds and cinnamon, the sirloin steak is there, but you can’t neither see nor taste it. Its name comes from the Spanish mpanadas and was a way to preserve meat in an era with no refrigerator. Typical S-shaped Sicilian biscuit Both name and shape slightly change based on the area. The dough is a mixture of honey, almonds, quince jam and nuts, which give this biscuit a strong taste. An ancient refresher, a very delicate spoon dessert prepared by using wheat starch as thickener, just like it used to be done in our countryside. In summer, it’s a typical dessert to eat in our "alley". Offered in several varieties: cinnamon, white almond, roasted almond, lemon, chocolate, carob. An ancient carnival pastry similar to the Neapolitan "struffoli" and the “cicerchiata” of the Lazio area. In Sicily it was historically eaten in winter. However, we have it all year round in our Dolceria: small fried egg biscuits mixed with honey. Probably of Arabic origin, it is not an ice-cream but a nougat featuring different layers of almonds, candied fruit and sugar, enclosed by a marzipan wrap. We prepare it with natural colouring obtained for example from spinach powder as for green, chard powder for red, and saffron for yellow. In our lab, we prepare pastries every single day and decorate them one by one. From biscuits to cannoli shells, from cassatine to country gelato: in the laboratory, we carry out the daily ritual of creation, a gesture that is repeated with the natural imperfection of every typically handmade work. A symphony of flavours and aromas with absolute freshness. On spring afternoons, on summer evenings, on warm autumn mornings: this is the place where customers like to enjoy our pastries, gel, hot or cold chocolate and all the other tasty desserts that cannot but be tasted as soon as possible once they visit our Dolceria. Certainly, the Cassata Bonajuto. However, on order we also prepare customised cakes as well as other pastries for specific needs and special occasions.